Jump into the best scuba diving spots in the Bahamas! 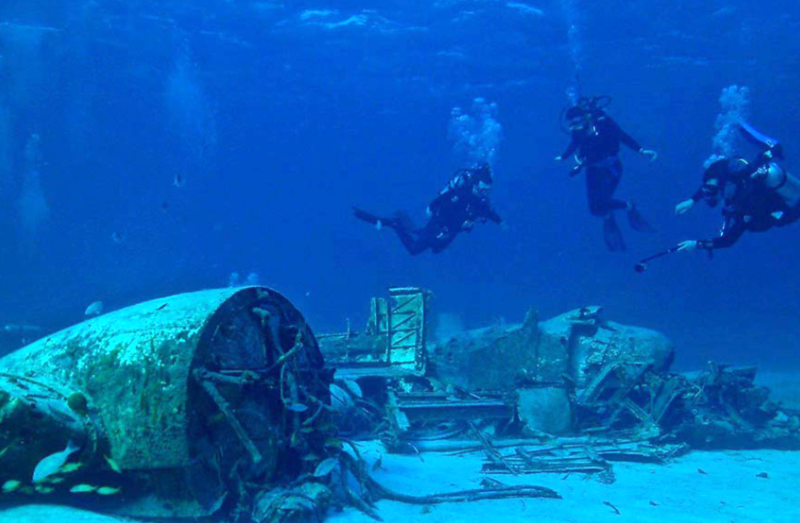 Jump into the best scuba diving spots in the Bahamas. Camp on the sea while the Blackbeard liveaboard crew does all of the work! Incredible diving, low frills, with high fun! Dive in some of the most pristine locations in the Bahamas while experiencing unique adventures for an affordable price! Once aboard, the Blackbeard crew will sail you away from the cruise ships and city lights of Nassau as you head south to Exumas, Exuma Cays, and Eleuthera. 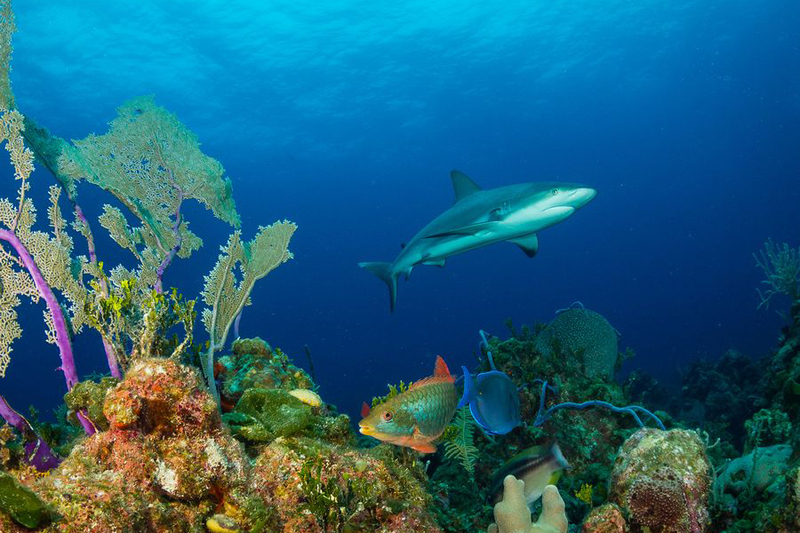 These areas offer the most pristine diving in the Bahamas by far. For more than 30 years, the waters have been protected thus allowing the wildlife to flourish. 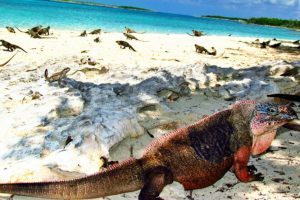 A myriad of fish, eels, octopi, coral, sponges, lobster, crabs, and 5 of the 7 species of sea turtles inhabit these waters. Thus, you’ll enjoy adventure below and above sea level. Dive day and night. Experience an extraordinary variety of dives from beautiful coral reef dives, to mysterious wrecks, to sheer vertical walls, to high-speed drift dives, to enigmatic blue holes. 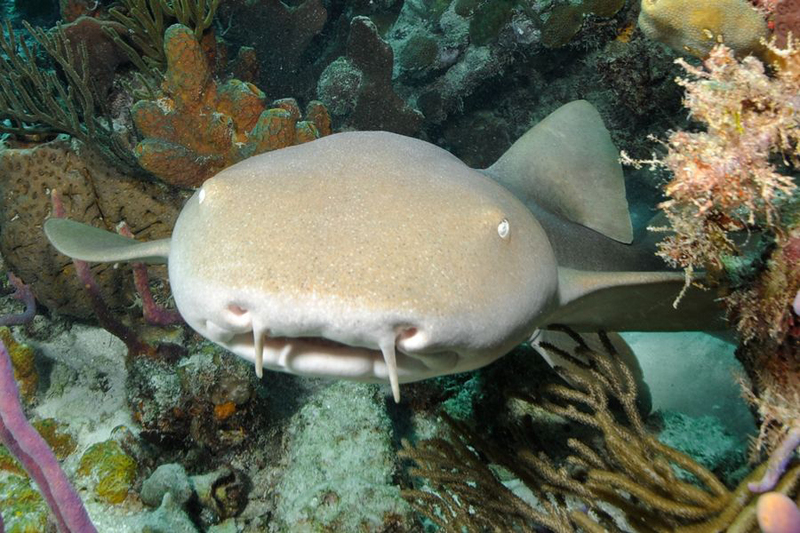 Be exhilarated as you swim with rays and Caribbean reef and nurse sharks. 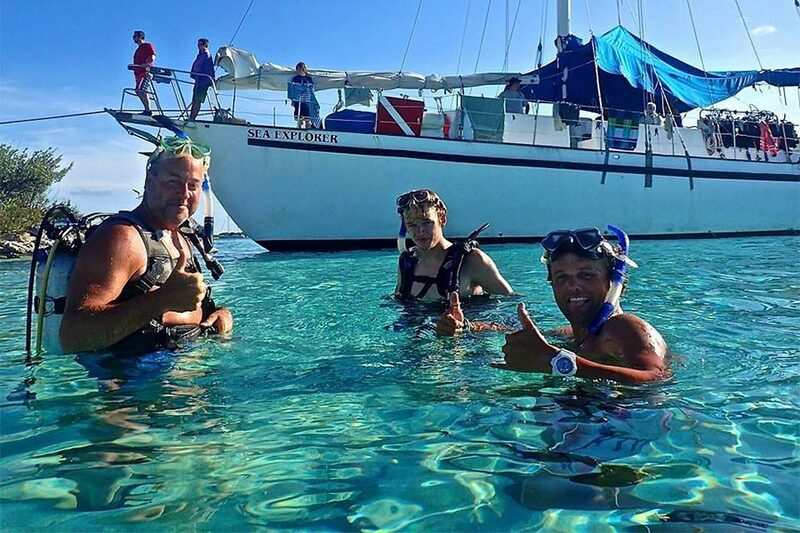 Continue to make vacation memories topside by trying deep sea fishing, halyard swinging, beach combing, freediving, or sailing when conditions are just right. 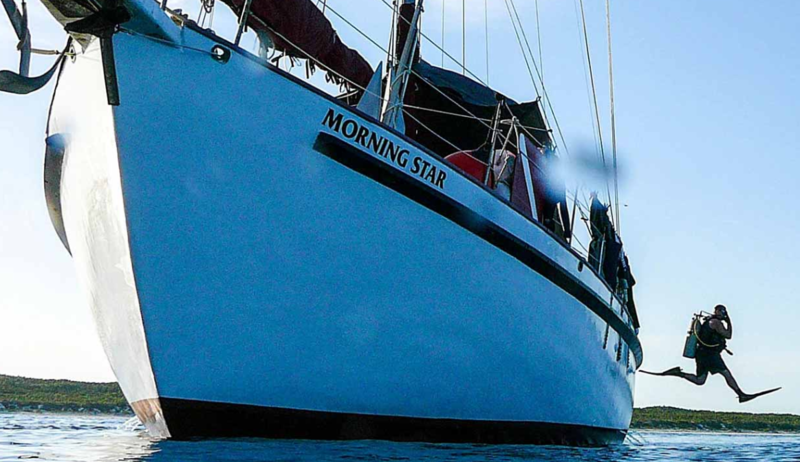 Your accommodations and dive adventures will take place on a 65-foot sailboat. Play in the water, lounge on the open deck, sit under the canopy, hang in the horseshoe, fish for dinner, stargaze under a clear night sky, and enjoy 40 winks in your cozy bunk. Fuel up with three square meals a day, plus snacks and fresh fruit available all day. Once your diving is done for the day, sit back, relax, and enjoy a cold beer or some famous rum punch as you sail into the sunset. What are you waiting for? Jump into adventure with us as we explore the warm crystal-clear waters of the Bahamas, play in the sun, and camp on the sea!